The Caribbean offers some of the most beautiful vacation destinations in the world. 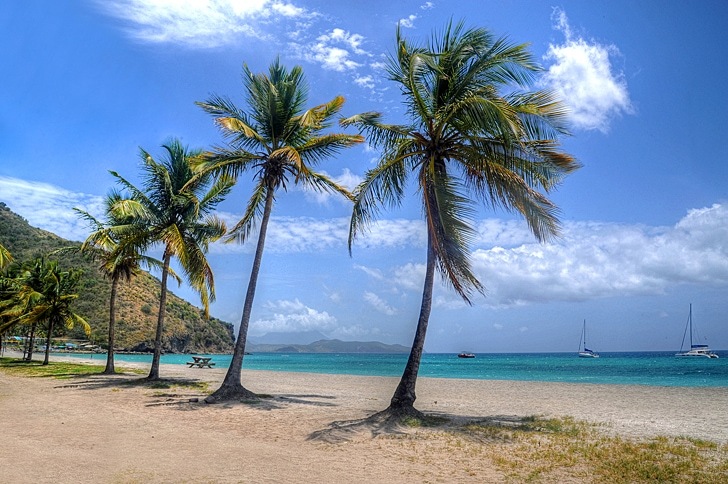 Many people, however, have trouble deciding which of the Caribbean Islands to visit. I reached out to some of friends in the travel writing and blogging world and asked about their favorite Caribbean Islands. 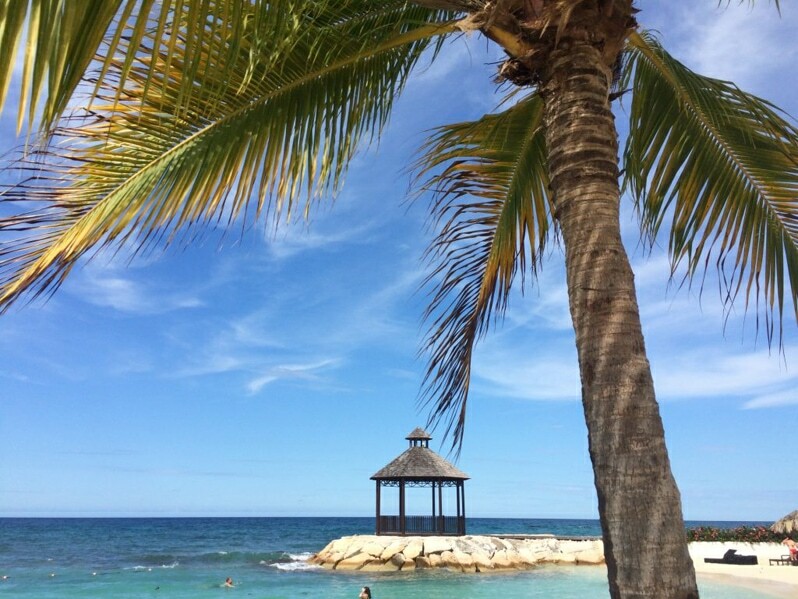 I hope these helpful tips make choosing your next Caribbean adventure an easier task. The Caribbean islands are located in the region of the Caribbean Sea. The Caribbean Sea region is located southeast of the Gulf of Mexico and the North American mainland, east of Central America, north of South America and West of the Atlantic Ocean. The Caribbean archipelago encompasses more than 7,000 individual islands in an approximately 1-million-square-mile region in the Caribbean Sea. The Caribbean sprawls across more than 1.06 million square miles and is primarily located between North America and South America. They can be subdivided into a few different regions: the Lucayan Archipelago, the Greater Antilles, the Lesser Antilles and the ABC Islands. There are 13 sovereign states and 17 dependent territories in the Caribbean, and English, Spanish, French, Dutch and Antillean Creole are the predominant languages. Anguilla is a hidden paradise in the Caribbean not many know about. Most tourists spend their time on the nearby island St. Maarten and don’t realize Anguilla is only a 20-minute boat ride away. Anguilla is a small island that has 33 beaches and you can almost always have one for yourself. We highly suggest renting a car so you can explore the entire island, cars are only $35 a day. One of our favorite days was one spent on Sandy Island, which a quick ten-minute boat ride away. The island is just that, a Sandy Island. To check current hotel rates for Anguilla, I suggest checking with Hotels.com or Booking.com. 365 beaches, one for every day of the year! That’s the sales pitch for Antigua, one of the quieter islands in the Caribbean. I went for sailing week at the end of April, which marks the end of the Caribbean sailing season – and gives everyone a great excuse to party. That said, this island is quieter than some of its neighbors – regarded as being a little bit more upmarket and a little bit less touristy. Visitors here come for the heritage (Apart from UNESCO listed Nelson’s Dockyard, the main British dockyard in the Caribbean in the 18th century, you can also visit disused sugar plantations and factories) and for the sailing. Aruba, is a small Dutch Caribbean island located a few miles north of Venezuela in the southern Caribbean. It’s a small island; just 20 miles long and five miles wide. The beautiful white sand beaches of Aruba are the main draw for many when choosing a Caribbean vacation. 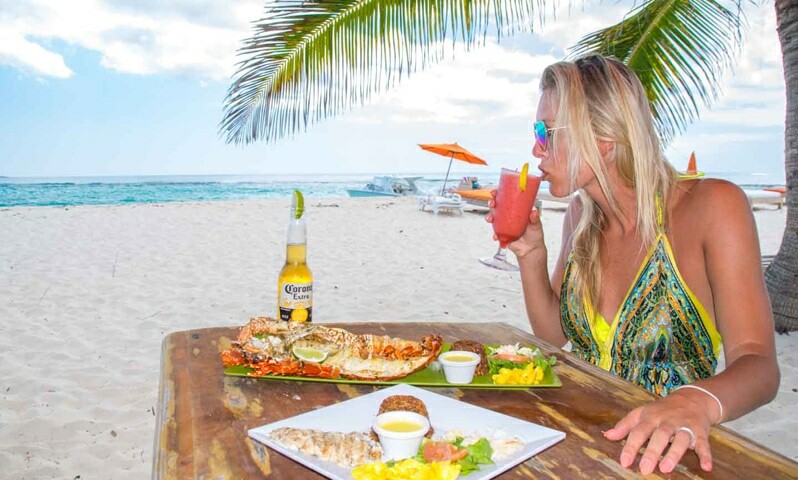 The beaches on Aruba’s south shore are pristine and picture perfect but don’t make the mistake of spending your entire Aruba vacation lounging on the beach and swimming in the crystal clear Caribbean Sea. There is much more to experience when you visit Aruba. My favorite thing to do in Aruba was snorkel. I also loved exploring Aruba’s rocky, wild Northside with volcanic stones and big waves. 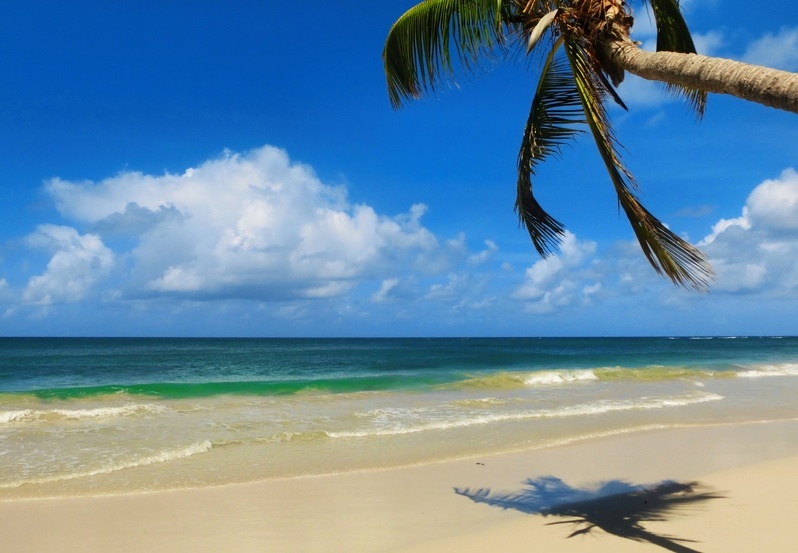 The beaches in Barbados are truly magnificent. 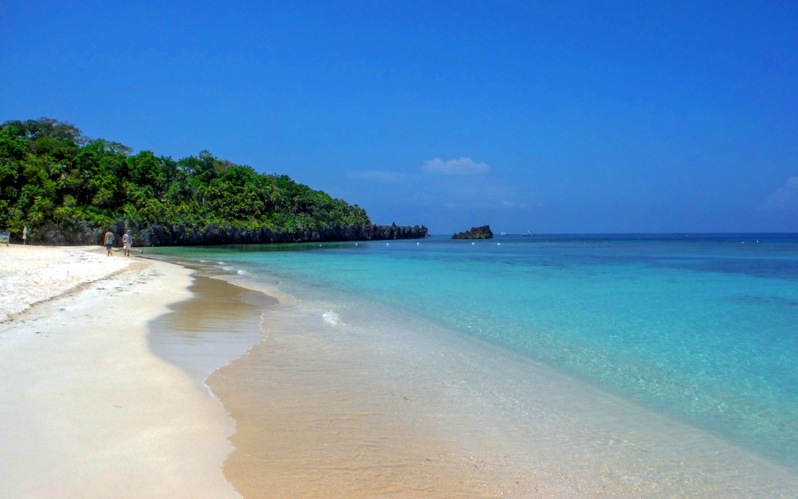 You have your standard white sand/turquoise blue beaches on the West and South coasts of the island. When you head to the East Coast Atlantic Ocean beaches, you will find two of my absolute favorites though. There is the world-famous Crane Beach with pinkish sand and towering cliffs. 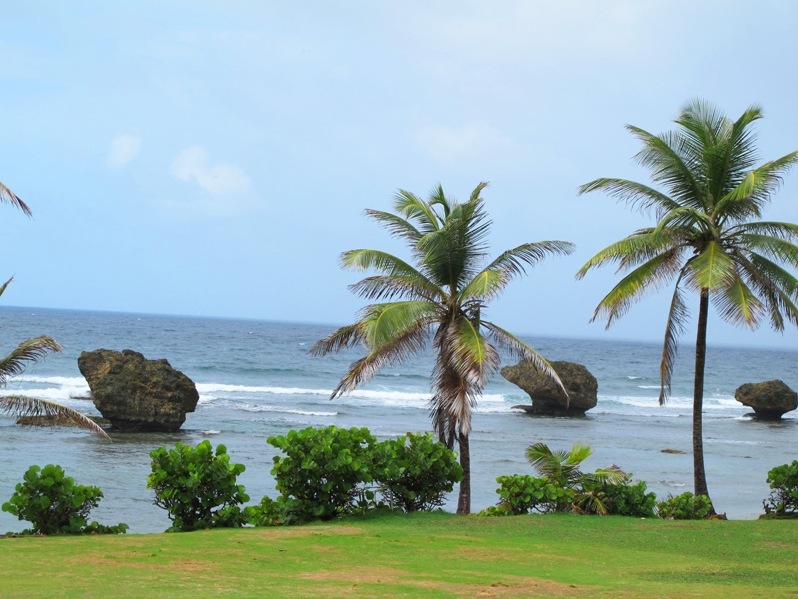 If you head just a little farther north along the coast, you’ll find Bathsheba Beach. Despite it raining both times I have visited this beach, it is probably my second favorite beach in the world. Here you’ll find picturesque mushroom head rocks, amazing waves full of world-class surfers, and rock pools. This beach has so much character and natural wonder but is often missed by tourists who don’t explore enough of the island. 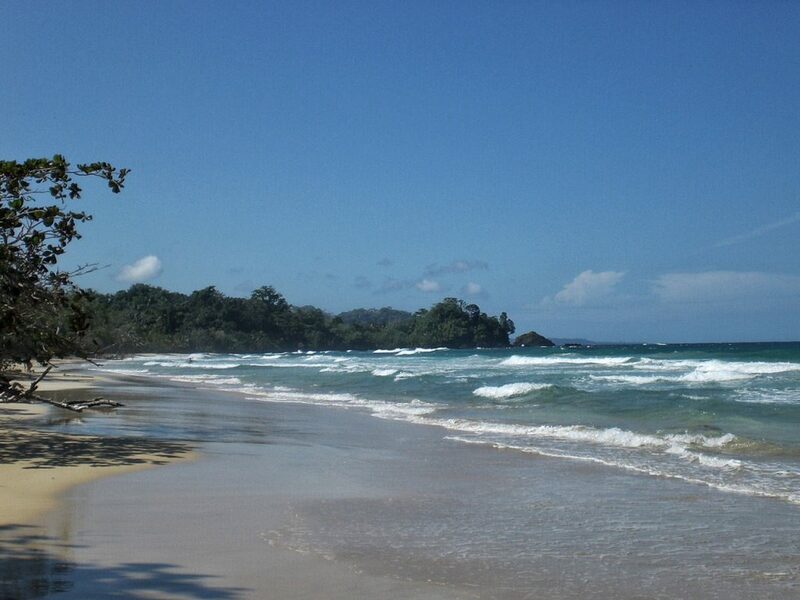 Bocas del Toro is one of the most visited places in Panama. Considered to be the perfect Caribbean getaway, it actually takes a bit of effort to find a beach to relax and enjoy. 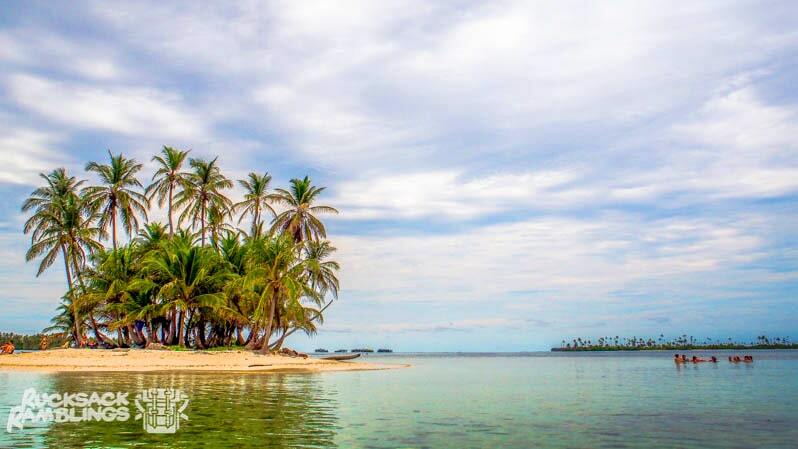 While most backpackers crowd Bocas Town, located on the main island, I think that Isla Bastimentos is a better option, for it is here that there are the best beaches such as Red Frog Beach. 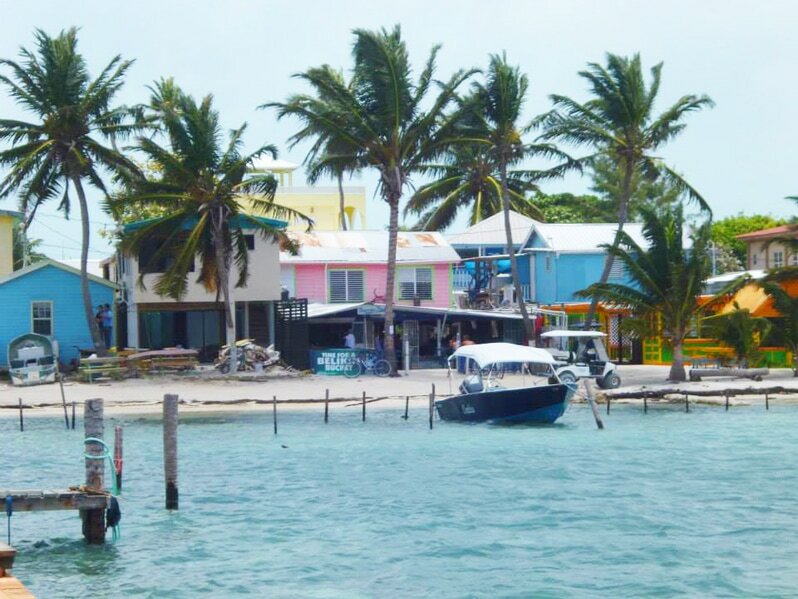 With laid-back locals, amazing food and drinks, brilliant sunshine and a unique island atmosphere – the motto of Caye Caulker is ‘go slow’ and everything on the island reflects this – the Belize island is a perfect destination for your tropical Caribbean vacation. There are no cars on the island, meaning that you literally do have to ‘go slow’ everywhere; but you’ll find it is easily walkable. A whole day can be spent at ‘the split’, a popular sunbathing spot where the tunes are constant and beers and cocktails served on tap. Cozumel, Mexico is an extremely popular destination for cruise ships. Visitors flow off the boats into the stores and bars on the island on a daily basis. But there’s a lot more to Cozumel than another discount jewelry store. The island sits at the northern end of the second longest barrier reef in the world. Related Article: How to Spend a Perfect Day in Cozumel. Rightfully known as “the Nature Island,” this little-known ecotourism gem in the eastern Antilles is has made Ethical Traveler’s Best Ethical Travel Destinations list for several years in a row thanks in large part to their clean energy and conservation initiatives. 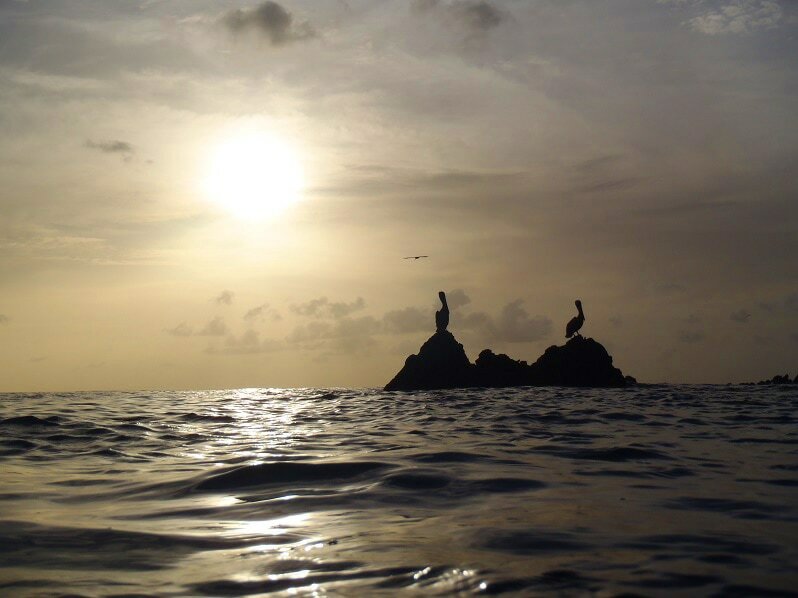 For stunning natural beauty, the Caribbean island is virtually unparalleled. The mountainous Morne Trois Pitons National Park, a UNESCO World Heritage Site, boasts imposing volcanoes, impressive waterfalls, and a boiling lake. It’s also part of the massive Waitukubuli National Trail system, which spans the entire island. 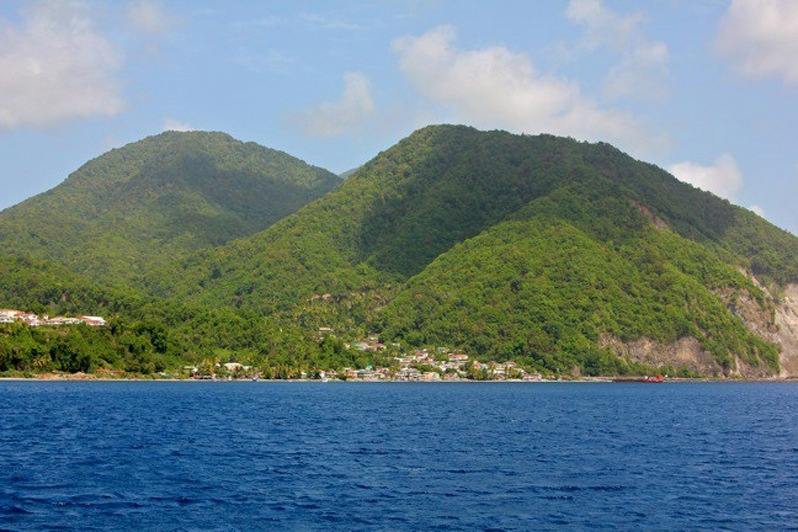 Dominica is the last island in the Caribbean with a substantial population of the indigenous Kalinago people (a.k.a. Carib Indians). The Kalinago Barana Autê is owned by the tribe, and offers an excellent introduction to their history and colorful cultural traditions, including dancing and basket-weaving. 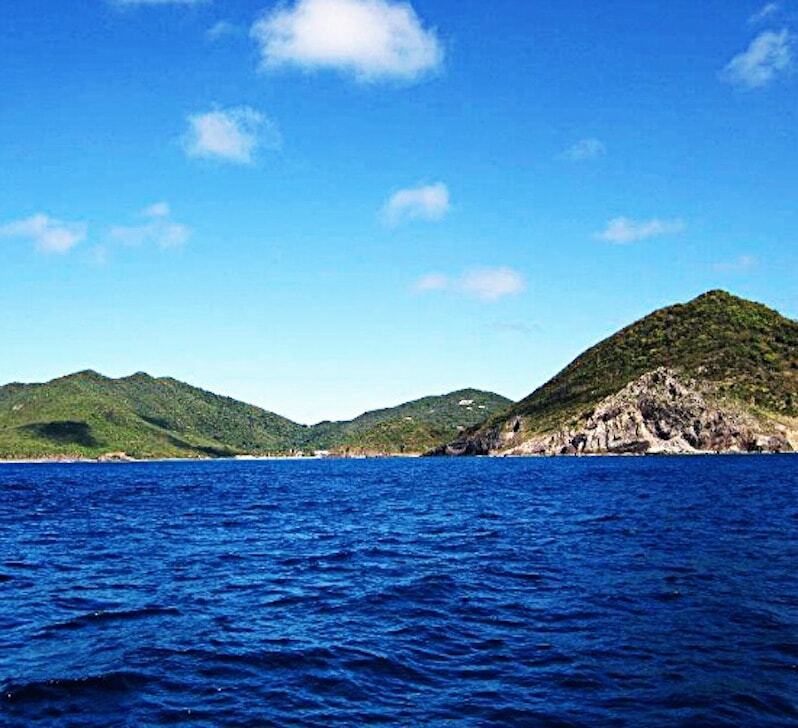 Some of the island’s greatest treasures lie offshore, in the gorgeous Caribbean waters. 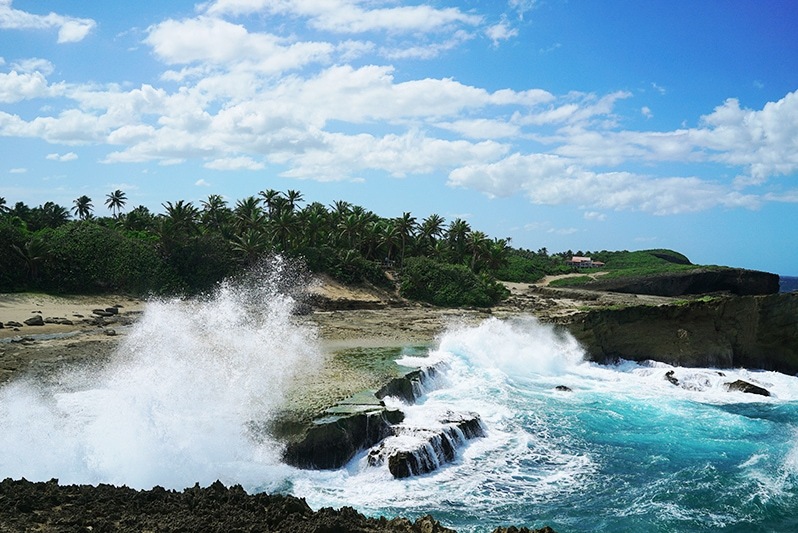 The Dominican Republic offers something for everyone. If you are an adventure lover, you can do a tour of the 27 waterfalls, which includes shooting down natural slides and jumping off cliffs in the middle of a lush forest. 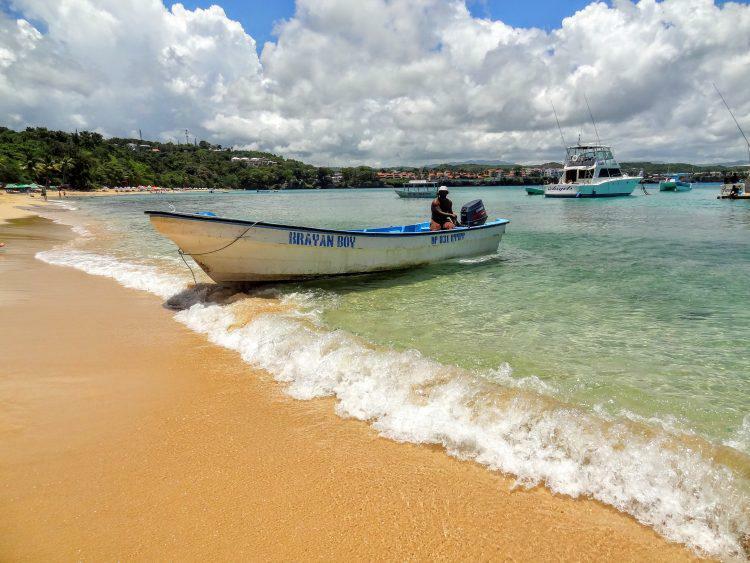 If you are looking for a more relaxed time, you can enjoy the many beautiful beaches, go snorkeling and learn how to make chocolate or visit a cigar factory. The people in the Dominican Republic are beautiful and welcoming. Do you want a go on an island getaway with deserted beaches, turquoise waters and friendly locals? 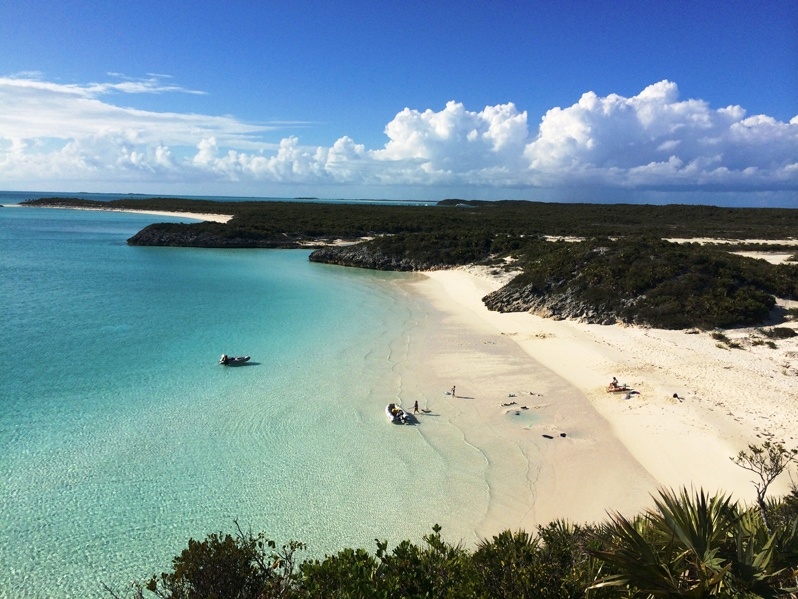 The Exuma Out Islands in the Bahamas are the perfect destination for you. This island chain is away from the mega resorts of Nassau, Paradise Island and Freeport, but just a mere hop from the US mainland. The Exumas consist of sparsely inhabited islands with small, boutique hotels where you can truly get away from it all. 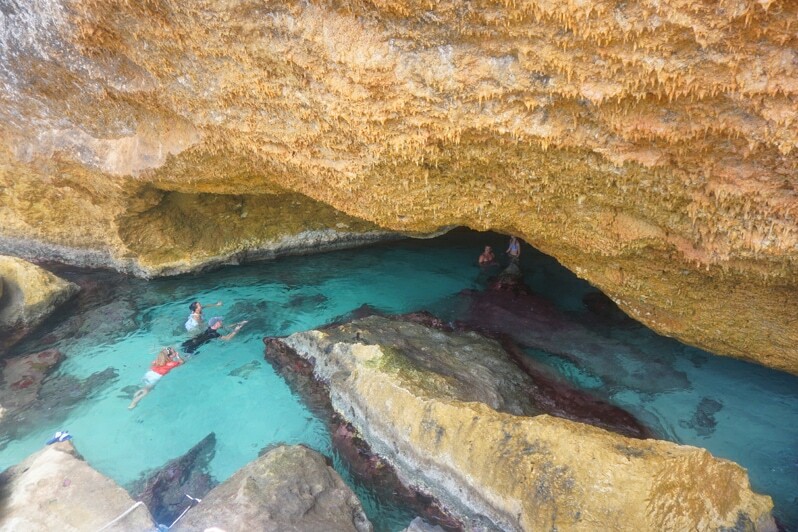 They offer beautiful snorkeling, boating, beach walking and a relaxed Bahamian culture to help melt away the days. Another Exuma attraction that is receiving a lot of attention is the swimming pigs at Staniel Cay. 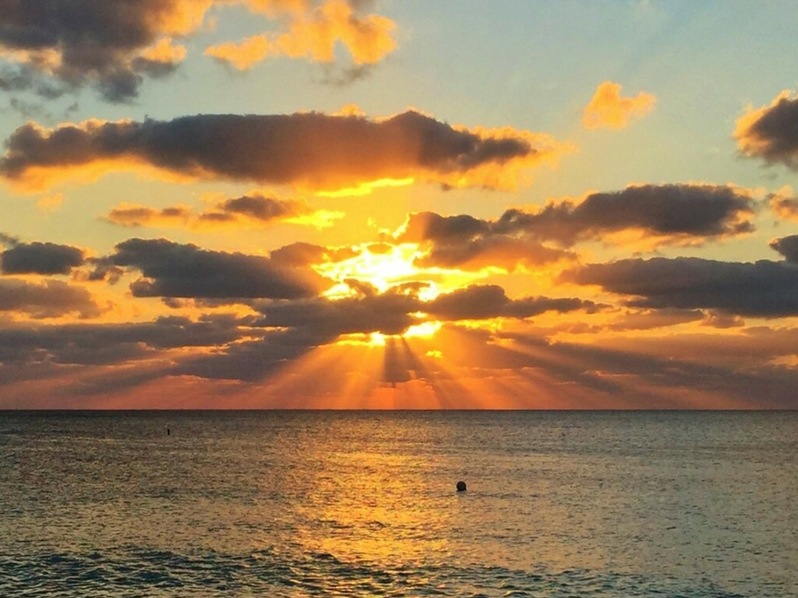 Grand Cayman is the perfect getaway, especially if you’re trying to get away from cold winter weather. With clear water, warm temperatures, powdery coral sands and no major safety concerns, Grand Cayman has everything for a relaxing stay. My favorite thing about this island is definitely Seven Mile Beach. It may not be the most secluded beach but at around six miles long (not seven as the name suggests) visitors have no problem finding a spot for themselves. 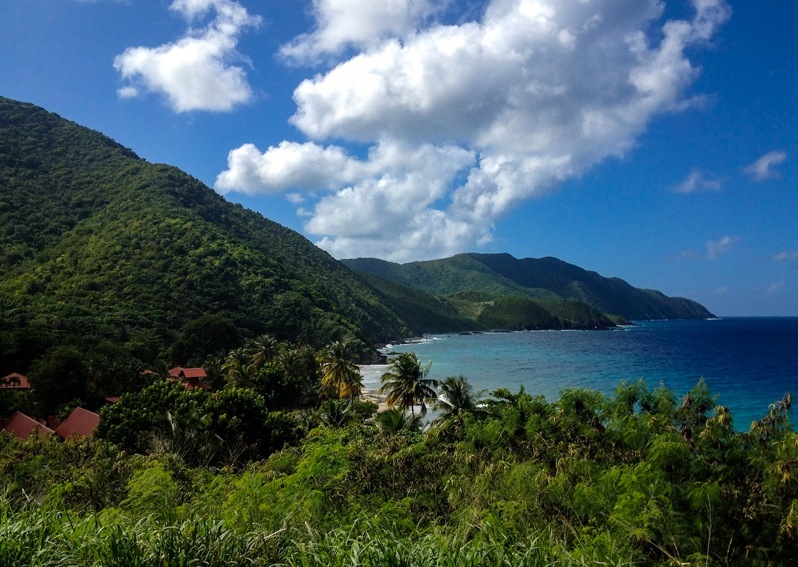 When I decided to visit Guadeloupe, I expected the standard Caribbean checklist. Breezy, palm-tree lined beaches, coral reefs swarming with life that ignored me as I floated lazily on the water, paths through Garden of Eden greenery, perhaps some gentle reggae or calypso music in the background. I got all of that. The smaller beaches were my favorite, curved and mostly empty, the rocks at each end perfect for snorkeling. I love the sounds and smells of these beaches: the waves lapping or roaring rhythmically, the palm trees shushing in the breeze. I walked paths through classic jungle scenery, including one up a slightly active volcano. But the pleasant surprise for me was just how French Guadeloupe is, especially in terms of food. I bought croissants and baguettes that were absolutely the equal of the perfect bread that the French take for granted. Yet, at market stalls, I could buy tropical fruits – pineapple and mango, for example – far fresher, juicier and more flavorful than any I’ve ever been able to find at home. Restaurants, meanwhile, show influences from both: Caribbean kick combined with French elegance. So this is what makes Guadeloupe special: it’s the Caribbean dream, plus amazing food. If you head for the Caribbean islands, you probably don’t want to miss Martinique, a French territory that completes the “blue gold” of France. For more freedom, when you land in Martinique, rent a car at the airport, because public transportation network is not well developed. Martinique has also some of the most beautiful hiking trails and hosts popular ultra-trails around Pelée Mountain. 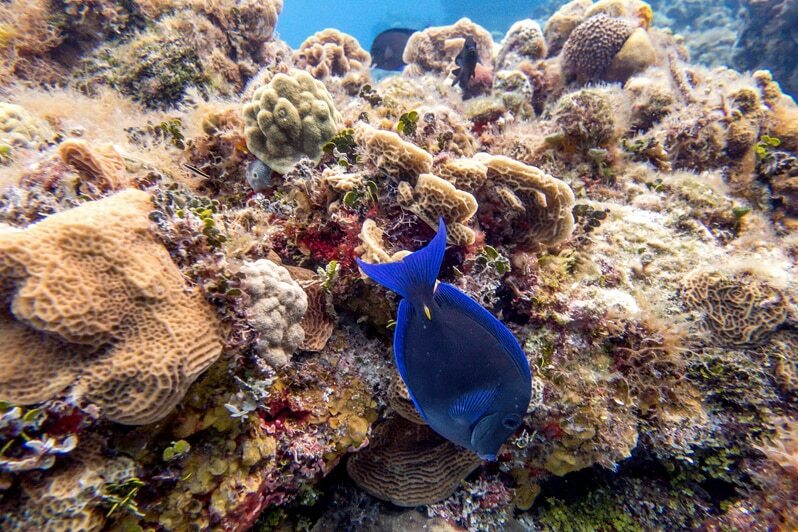 If you are a scuba diver, Martinique offers amazing exploration sites of corals, fish and shipwrecks. Looking for the perfect getaway? We may have found it on the charming island of Roatán in Honduras. One of the Bay islands located on the Caribbean side of Honduras, Roatán is the place for a perfect tropical vacation. 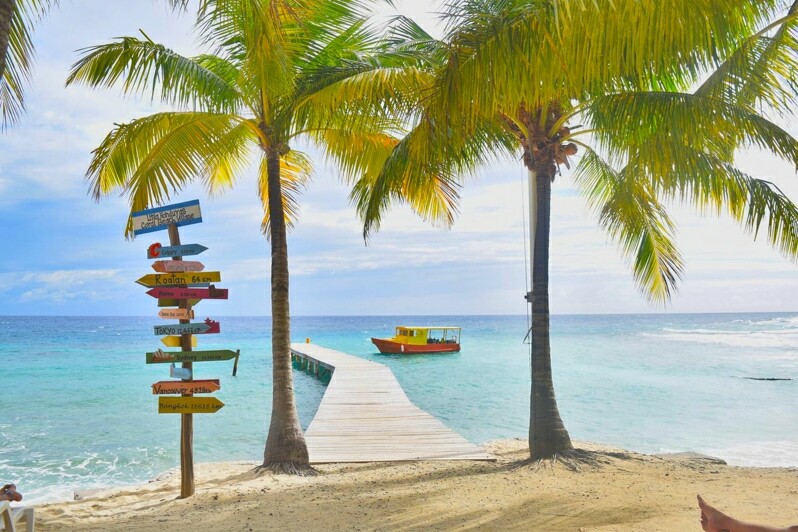 There are plenty of island activities to keep you going, and whether you want to spend your day lazing in the shade of a coconut tree sipping on a cocktail, or whether you prefer snorkeling and diving off the world’s second largest barrier reef, Roatán offers some perfect spots from which to do so. I went to Puerto Rico looking for waves, tropical beaches and island vibes and it did not disappoint one bit. I had not really done much reading and did not know what to expect and when I first arrived I was a little perturbed by my surroundings. I suppose I should have known that being a U.S. province that it would have had a strong US influence. That only lasted a short time though and as soon as you are clear of San Juan its mostly palm trees, beaches, sun, waves and mountains. Located off the coast of Panama, the San Blas archipelago has everything a perfect getaway should have. 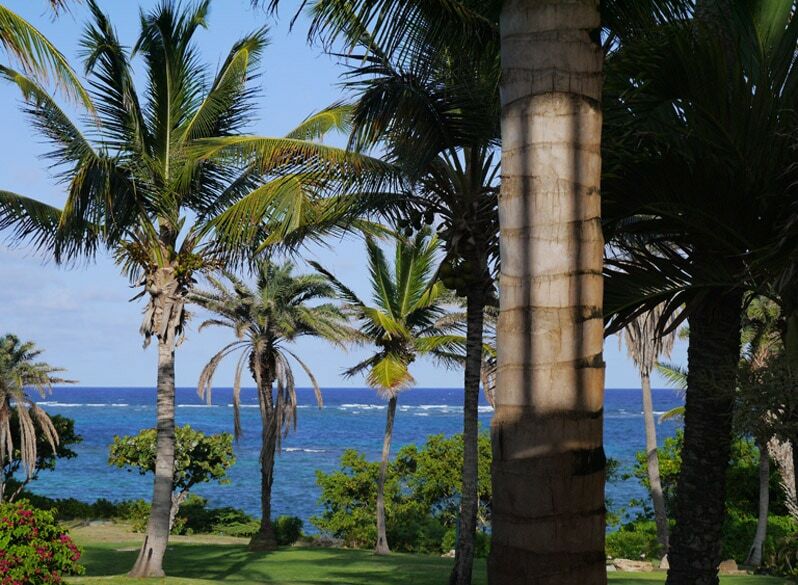 We’re talking deserted beaches, turquoise water, Caribbean sun, the whole shebang. There are no hotels – in fact, the only buildings you’ll see are small huts made of palm tree leaves. The only way to get from one island to the next is to jump in a dingy and have one of the locals take you. 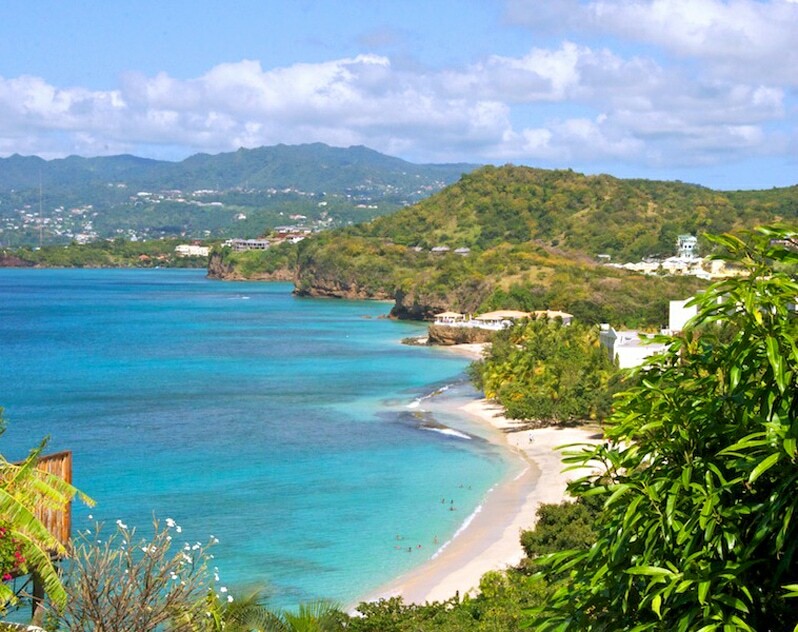 St. Croix may be the least visited of the three U.S. Virgin Islands, but it is the ideal Caribbean getaway thanks to white sand beaches, numerous activities, and local charm. While I thoroughly enjoyed lounging oceanfront with a cocktail, I also had a wonderful time hiking to secluded tidal pools and learning about the island’s rich history in the town of Christiansted. To us, a perfect getaway is one that offers lots of choices to how I spend my time. 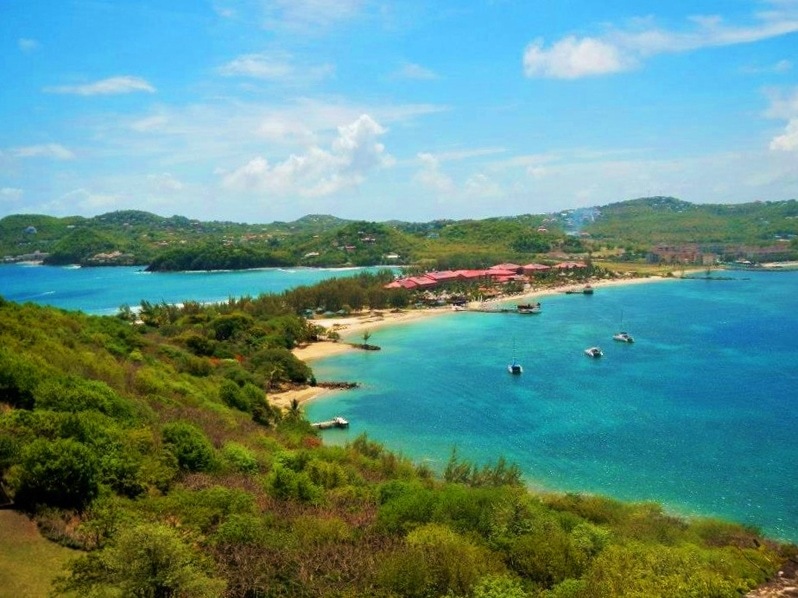 St. Lucia is the Caribbean island that we found to have a seemingly endless list of things to do. Besides all the typical things you come to expect in the Caribbean such as white sand beaches, turquoise water, and palm trees, St. Lucia offers an amazing diversity of culture, activities, dining, and thrill-seeking adventures. You’ve likely already seen many videos and pictures of St. Maarten. Massive airplanes flying dangerously close to people standing on a beach. This Caribbean island is home to one of the most recognizable (and exciting) runways in the world, but there is so much more to the island than an adrenaline-boosting airport experience (though it’s definitely worth checking out!). On the island of St Kitts, rum punch flows as freely as the tides, the Caribbean sea meets the Atlantic Ocean and people greet you with a warm, laid-back welcome. This is the authentic Caribbean. You’ll not find luxury shopping malls here but you will find fabulous seafood, stunning beaches and a lush green rainforest waiting to be explored. St Kitts is the only place on earth where the rainforest is actually expanding. As the smallest of the two islands which make up this nation, Tobago has evaded the development and industrialization of its partner Trinidad. It is mostly covered in forest, which provides an extensive habitat for tropical wildlife, and the most secluded beaches have trees spreading right down to the sand. For me, the most beautiful landscapes are underwater; there are turtles, fevers of stingrays and enormous, pink brain corals. Tiny slips of orange disappear before you can focus and large, purple parrot fish chomp around the reef as if you aren’t there at all. 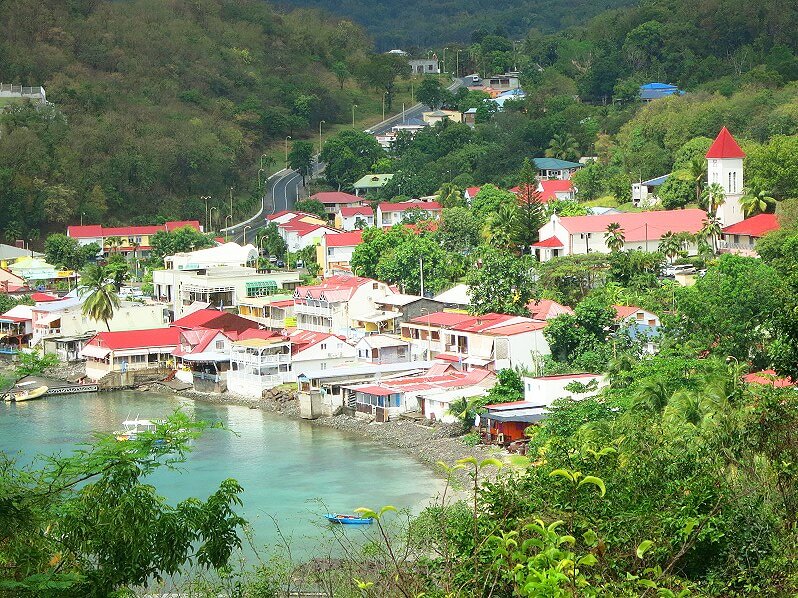 this tiny island has a small-town feel and is chock full of beautiful Caribbean beaches. There are a lot of discount websites, but I have found the lowest prices (up to 70% off retail prices to the Caribbean) with CheapCaribbean.com. They offer great discounts on airfare, cruises, hotels and packages. When starting your research for a Caribbean vacation, start with the Cheap Caribbean website, so you can gauge a real deal and what kind of savings you can find. The best site for booking accommodation in the Caribbean and to find the best deals can vary across different booking sites and across the different islands. That is why I love HotelsCombined. For the best hotel prices I love HotelsCombined. They guarantee to find you the best hotel price by searching through Booking.com, Expedia, Hotels.com, Agoda, Venere, LateRooms and more. If you find a cheaper rate after you’ve booked with a site listed on HotelsCombined, they’ll refund you the difference. I love this! It’s like Kayak for hotel rooms. I also suggest looking into Airbnb. You can rent a bungalow with a pool in Guadeloupe for $44 per night or a 3-bedroom villa in the Dominican Republic for $170 a night. If you’re interested in Airbnb and have never used it before, you can use this link to save $40 on your first Airbnb booking. Want to visit the Caribbean on an organized tour? G Adventures and Intrepid have some great options! Intrepid offers a 7-day Bahamas Sailing Adventure where you’ll experience abundant marine life, crystal clear turquoise waters, uninhabited cays and one of the best sailing destinations in the world. The protected and shallow waters of the Bahamas make this the perfect trip for first time or novice sailors. Or you could Sail the Caribbean seas on a British Virgin Islands 8-day sailing adventure with Intrepid. This is a one-week high sea adventure that will have you snorkeling, hiking and settling into the slow-paced Caribbean way of life. G Adventures offers a 22-day Caribbean Mayan adventure with sunny beaches and lush jungles as well as the highlands of Chiapas where you will journey through Belize, Guatemala and southern Mexico. Make sure you have all of your travel documents in order and secure in a safe but accessible place. This includes a valid passport , driver’s license, airline tickets and/or boarding passes. A pocketbook or outside pocket of your carry-on bag is ideal since you’ll need easy access at the airport and upon arrival at the hotel. Also, be sure to pack copies of prescriptions for medications, which should be carried in their original containers. Make sure you know if the island you are traveling to requires a passport (most do). If you don’t already have a passport and need it quick, RushMyPassport.com is a great resource. Sunscreen – The Caribbean is a tropical climate where the sun’s UV rays have a more direct angle to the Earth’s surface. That is why you need to be vigilant in your sun protection. UV protective clothing, hats and sunglasses, and seeking shade whenever possible, are all important things to focus on. But the most important thing for your skin exposed to the Caribbean sun is a quality sunscreen! I recommend a minimum of SPF 30 and water resistance is essential as you’ll most likely be in and out of the gorgeous Caribbean Sea. I love Neutrogena SPF 70 because it isn’t greasy, water resistant and is only $11 on Amazon. If you are traveling with kids, I prefer the Neutrogena Wet Skin Kids Sunscreen Spray Spf 70+, and it’s only$10 on Amazon. Aloe Vera – I like to bring some Aloe Vera Gel to soothe the inevitable sunburn I get despite all of the sunscreen slathering! I somehow seem to miss one spot, like my ears. Water Shoes are handy for rocky beaches. If you are more adventurous and enjoy hiking, you may want to look into something like a Reef sandal. This Teva Sandal can be worn around town and in the water. Mask & Snorkel – If you plan to snorkel, bring your own: this is an item you don’t want to rent. Renting a snorkel set day after day can be expensive. If you love to snorkel it makes sense to bring a mask & snorkel set. 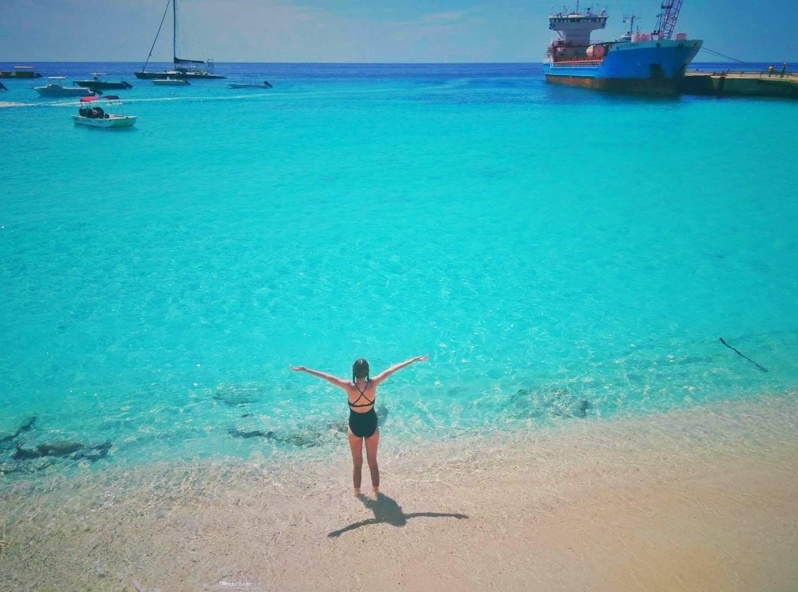 You won’t find water this clear and beautiful in many other parts of the world and you’ll want to take advantage of snorkeling in the crystal clear Caribbean Sea. This ProDive Dry Top Snorkel Set is a great set you can pick up on Amazon for only $29 and you’ll get your money’s worth after a day or two. For the Caribbean, I found searching with Google Flights and Trip Advisor as two of the best places to search for the best real prices. Also, here is a tip: always search in an incognito window when searching for airfare. If not, and you search multiple times, chances are they will raise the flight prices! Note: The Bahamas and Turks and Caicos Islands, considered as the Lucayan Archipelago do not border the Caribbean Sea. They are technically part of the West Indies but not the Caribbean. 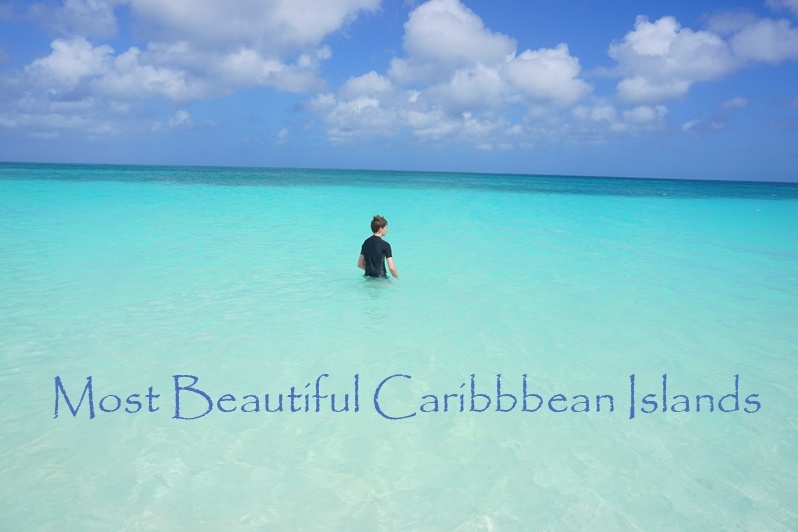 What is your favorite of the Caribbean Islands? Let us know in the comments below! Wow, you’ve selected some incredible islands here and so many of my favourites ( including Grenada)! There’s a few more I still have to visit – such as St. Croix and Puerto Rico- you’ve inspired me to add them to my must-see list. So many of these are on my travel must-see list. I’ve got to spend more time on tropical islands! So many islands to choose from! I would love to see Aruba and Grenada – no specific reason other than I have not heard about them before! Great article! I have been in the desert the past 60 days and so these pictures have me itching for a beach vacation. The Carribean is beautiful and it looks like I need to dedicate some time here now! I’ve been to several of these islands and love them all. I didn’t realize how many haven’t been to until this post. Looks like I need to get to the Caribbean. I’ve been to only the Dominican Republic but I need to browse the Caribbean islands more – Bahamas is very tempting! I want to be in some turquoise water in the Caribbean now! Thanks for including us, we loved St. Lucia! Gosh Alexa, that’s quite some list! I’ve never made it to the Caribbean but would love to one day, and this whets my appetite even more. Look at those sunsets. Glad to be contributing to this awesome compilation of dream destinations in the Caribbeans ! OMG ! What an incredible list of islands out there. Carribean is a paradise and it’s a real challenge to visit it from India. But i will try to visit it once in a lifetime. Wow these islands are beautiful! Would love to visit them all one day. Alexa, do you prefer Jamaica the country or Jamaica the neighborhood in Queens, New York? they are all must see list.. Amazing islands .. all of them are fantastic.You shared nice shots and your advices are great. Thanks for these. Such a great article with so many islands to choose from! I can’t wait to make my choices and visit.